You got the interview call and prepared well for the interview. 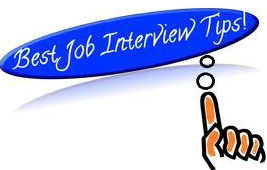 But enhancing your skills at the last minute of the interview may help you to set your preparation in a better mood. It is common to be nervous at the time of an interview. But following below tips at the last moment may help you to get relieve from the nervous. Answer in a perfect way: Ajob seekerwill get prepared well for the job interview and mould them for the job interview, even if there are any changes in resume. Make ensure that, yourcustomized resumeshould create positive impact, but should not create hype. Creating a great picture may manageable at this moment, but it is not manageable if you get selected for the job in future. Prepare for regular questions: Frame answers for the questions like Tell me about your weaknesses These questions look very tricky but your answer should convey the meaning that it should benefit the company but not fetch up to the individual. It is known fact that we cannot give perfect answer for all questions but at least we can try to be honest in our answers. Your honesty will help you in drawing attention of the recruiters. Be honest in explaining job gaps: If you have reasonable gaps in your resume, you can explain to the recruiter. But if you have more gaps, then be honest in explaining your gaps to avoid embarrassing moments in future, if you get selected for the job. Never discuss more about the present employer: Dont give much space in discussing about your present boss rather than focus more on your roles and responsibilities for the job interviewed for.